Germany 1949 Berlin Relief Fund Miniature Sheet - Enfield Stamp Company Ltd.
View basket “Germany 1949 Berlin Relief Fund Miniature Sheet” has been added to your basket. 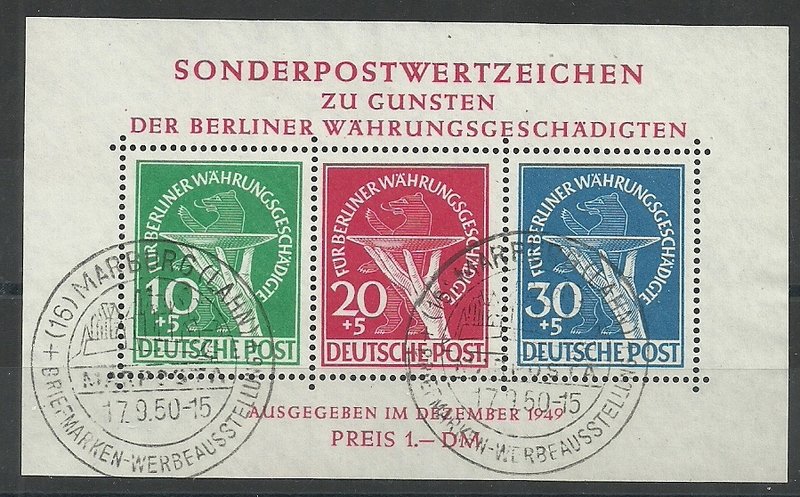 Germany 1949 Berlin Relief Fund Miniature Sheet. Germany-PO’s in Turkish Emp.1908 1pia.on 20pf. 1933 Germany Welfare Fund 'NOTHILFE' Miniature Sheet Germany-PO's in Turkish Emp.1908 1pia.on 20pf.